#NZLEAD RECAP: Employee Communications: what do they say about HR? It was acknowledged that poor communication from HR, especially during difficult periods of change, has a negative impact on organisations and employees. A few participants commented on how poor use of language causes confusion and that HR needs to be more direct. #nzlead a4. Learn from IC experts re tone and impact. Cut the corporate speak and turn up the clean language. As you would expect in a twitter chat, the topic of social media popped up, in particular people tweeted about how it is changing the way organisations communicate (internally and externally) and that ‘command and control’ communication tactics just don’t cut it anymore. #NZLEAD PREVIEW: Employee communications: what do they say about HR? 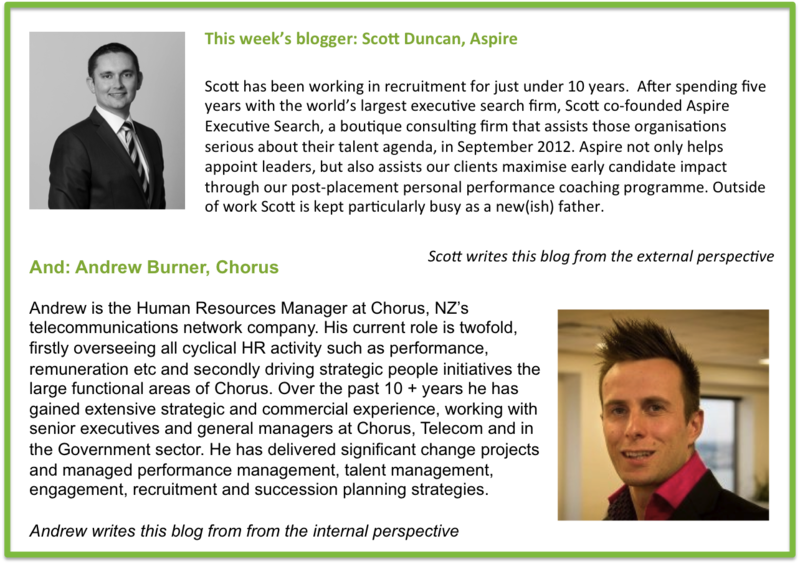 This week we have two guest contributors, together they have a wealth of communications experience.. This week’s topic is about HR’s role and effectiveness in the area of employee communications. Put simply, can we do better? It’s an essential question to ask. What we choose to communicate to employees is important. How we communicate can be even more telling. HR’s approach to communication gives employees insight into company culture. It can tell them if a company relies on collaboration or control and how well it navigates change and ambiguity. It also gives clues as to what extent employees have a voice. HR is by no means the only function that communicates directly with employees. But the sensitive topics we address mean that good communications are essential, not optional. Compensation, benefits, leave, payroll and performance are all highly personal topics to an employee. And this is not to forget the impact of company or function-wide communications about processes, technology, compliance, restructures and organisational change. Recruiters also play an important role as they communicate with future employees and represent your company brand. So, back to the question of what HR can do better. There are a few themes to consider. The way companies communicate with customers continues to rapidly and dramatically evolve. Technology, social media, global interconnectivity and the speed of change drive an expectation for faster and more transparent communication. We’re demanding this from government, industry and business; people are expecting it from employers too. The structure and tone of how we communicate is also changing: it’s becoming more personal and public, less formal and bureaucratic. So what do your employee communications say about HR? If HR were a person would it talk a lot but not listen? Nod a great deal but dismiss what it hears? Or would you describe it as a thoughtful conversationalist? It’s important to know: the way HR communicates tells employees much about who we are and what we represent. What is HR’s role in employee communications? How well does HR usually communicate with employees? How can employee communications help or harm an organisation? What employee communication capabilities can HR improve? The conversation kicked off with a discussion on how you best mitigate candidate perceptions of poor engagement through the recruitment and onboarding experience. Overwhelmingly, the consensus seemed to be that honesty was always the best policy. As it was pointed out, you just never know what will ultimately appeal to, and motivate, particular individuals. Our gracious hostess pointed to the Daniel Pink concept of motivation – a must watch if you haven’t already. The variety of the comments again talks to the danger of adopting a “one approach fits all” method in terms of driving engagement. In summary, it seems that engagement is truly a tool for the attraction and retention of talent. We seem aligned that driving engagement is critical, but often over-thought and over-complicated. Without wanting to simplify the concept, it seems that treating people with respect, providing opportunities for empowerment and reward, and leading in a genuine and authentic way are all key to developing and sustaining a working environment that will sustain and encourage high performance talent. Slightly off-topic, but a gem that I can’t help but highlight, came from @AaronDodd. Not quite sure how it relates to engagment, but a timely reminder for us all. Thanks again to @sterling_amanda for driving the discussion and ALL of last week’s participants and contributors.